Stefanak Sprint - Majorpalooza Inc. The Stefanak Sprint will start at 9:45 am at Memorial City Hall. ​Following the race we will have live children's entertainment Downtown along with activities. This event is for children 10 and under and is FREE of charge. The first 250 will receive a prize for participating. 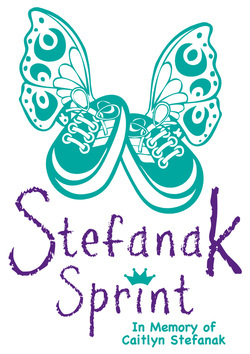 The event has been re-named the Stefanak Sprint in memory of Caitlyn Stefanak, a 4yo Auburn native who lost her battle with cancer in 2011. Caitlyn is part of the Majorpalooza family and we are honored to have a race in her memory.